Mike Laidlaw, one of the main creative minds behind much of the Dragon Age series, left BioWare around a year ago. Since then, he's been working as a consultant throughout the industry, but now he's back at a major studio. Today, Laidlaw's revealed that he's actually landed a job at Ubisoft Quebec as creative director on a currently unannounced project. Ubisoft Quebec is the team that spearheaded Assassin's Creed Odyssey, a game that's more of a role-playing adventure than it is a traditional Assassin's Creed title. It's an interesting move because a part of us can't help but wonder whether Ubisoft has its own RPG property in the works. The publisher has a history of pushing various gameplay elements in Assassin's Creed before using them as a basis for their own games -- just take a look at Skull & Bones, which is built on the foundations of Assassin's Creed IV: Black Flag's naval combat. 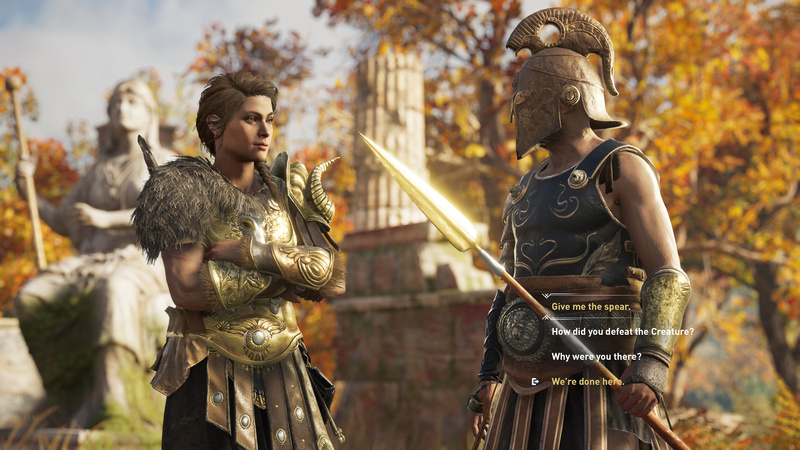 Right now, especially with Laidlaw's involvement, it seems entirely plausible that Ubisoft could take the role-playing aspects of Assassin's Creed Odyssey and branch them off into their own thing. In any case, we're looking forward to eventually seeing what this mystery project is. Ubisoft's making some kind of original RPG. Either that, or it's doubling down on the RPG elements of Assassin's Creed at Ubisoft Quebec. I reckon it's the former to be honest. Please make a new series for the RPG stuff. Please release AC from it. Please! I hope it’s a new ip, but I will not be surprised if it’s the next AC. @ShogunRok yeah i'm also going with the former. i think the next AC is already in deep development anyway,so it would not be for the next AC,maybe the one after that. but my money is a new RPG game. testing the RPG stuff out in AC oddessey to see how people would react to a full blown ubisoft RPG would be a understandable move. @ShogunRok I'm game for either. @Splat yeah I’m interested regardless of which it is but I would love to see an original IP.